Phlox nivalis ssp.texensis does not appear in our Native Plant Database, but not because it is not native to Texas. It is native to the Piney Woods of East Texas, presently in three counties, Polk, Tyler and Hardin, as you can see from this USDA Plant Profile Map. It is likely that it is not in our database because it was considered extinct until 1972, when it was rediscovered. The closest we can come to providing you with information from our database is to follow this link, Phlox nivalis (Trailing phlox), to our webpage on this plant, which has the same habitat range in Texas. (1) Counting the number of seeds from a plant would require carefully controlled laboratory procedures, which apparently has not been reported. We found this picture of seeds, from Prairie Moon Plants, of Phlox divaricata (Wild blue phlox), in the same genus, which indicate the seeds are quite small. They grow in pods which then pop seeds out in all directions. How many an individual plant would produce would be a factor of how many flowers were on that plant, what the growing conditions for that plant had been that year, and whether all seeds from that plant were captured. (2) Of course seeds can be taken from a living plant without hurting it; plants throw off seeds and keep on living all the time. Timing is the problem. You would need to determine when the pods holding seeds were ripe, remove them from the plant and then put in a paper bag where the pods can burst and the seeds can be retained. "• This species is propagated by cuttings, divisions or seed germination as investigated by Greg Wieland (1995) at Mercer Arboretum and Botanic Gardens and Dr. David Creech, staff and students of Stephen F. Austin State University, Nacogdoches, Texas (SFA 2002). These propagation efforts are performed for reintroduction efforts and to maintain plants for the gene bank. Plants produced for educational display gardens or for specific restoration and reintroduction projects are produced within Mercer’s nursery greenhouses and within our Conservation Area. The Conservation Area provides secure, raised beds for mass propagation of plants/seeds. Each bed is provided with independently controlled irrigation and substrates that meet the unique requirements for each species. Populations are propagated separately to insure genetic purity." 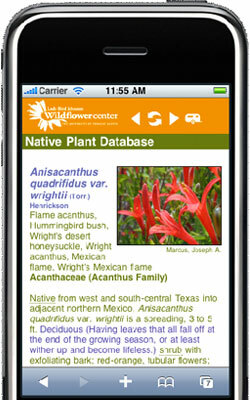 Another article on this plant is in this article from The Nature Conservancy. One last word: If you were planning propagation of this plant in Dallas and Denton Counties, where Carrolton is located, you will have some problems in that this is a piney woods plant, requiring the sandy, acidic soils of Southeast Texas. In North Central Texas, you have a preponderance of alkaline clay soils, not suitable for the plant.